Your children's future should include you. "Thank you Karen and Gayle for being my voice in court and making sure the children's best interests were at heart throughout this difficult process." 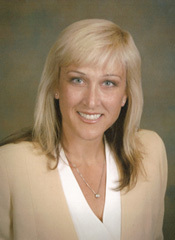 Karen Lynn Stone-Pretti, a native of Newport Beach, began practicing family law in Orange and Los Angeles Counties prior to relocating to Fresno in 2000 to open her family law practice, Stone Law Group. Ms. Stone has appeared over 19 counties and 39 separate courthouses throughout California. Energetic, knowledgeable, enthusiastic and creative, Ms. Stone favors an expedient resolution, but will aggressively litigate matters at issue when needed. After graduating UCLA with honors, Ms. Stone completed her legal education at Southwestern University School of Law in their two-year accelerated program, graduating in the top third of her class. Originally attending law school to tend to the growing needs of fathers seeking to be a part of their children's lives, Ms. Stone has also sought satisfaction from all aspects of the growing family law field. Ms. Stone seeks to make this difficult process as simple and uncomplicated as possible, often spending extra time educating her clients about the litigation process so they know what to expect. 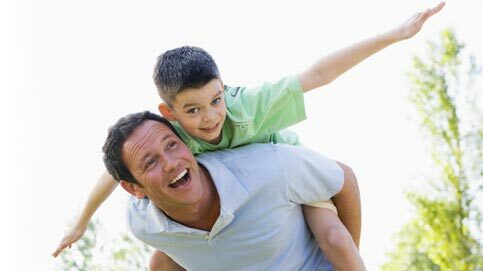 This often alleviates much of the stress associated with the separation of the family. When not at work, Ms. Stone enjoys spending time with her family, cooking and actively participates in her community through her volunteer efforts. Heather, a native of Fresno, has been working for Stone Law Group since November 2007. Originally interested in the culinary arts, Heather has since turned her attention toward a legal career, saving her culinary skills for lucky family and friends. Since coming to our family law firm, Heather has become an indispensable part of the team, frequently working as a liaison between the clients, courts and attorneys. Heather works closely with Ms. Stone and Ms. Rousey to set court dates, arrange client meetings and maintain client files. Although relatively young, Heather has superior organizational skills and is able to work on several projects at the same time with complete accuracy. When Heather is not at work you can often find her on a soccer, softball or volleyball field giving the other team a run for their money or working diligently with other young people on volunteer projects. Robert Pretti, originates from Cupertino, California, having moved to Fresno five years ago. Originally in the insurance industry for thirteen years, since coming to Fresno, Mr. Pretti has concentrated on customer service involving financial services for our family law clients. As the Business Manager for Stone Law Group, Mr. Pretti works hard to ensure the firm runs smoothly, freeing up time for the attorneys to concentrate on client matters. Mr. Pretti is the member of team responsible to manage time and billing. Stone Law Group acknowledges funding your legal process can be a cumbersome task and Mr. Pretti is the person responsible to work with the clients to ensure continued representation at a reasonable fee. © 2011 Stone Law Group. All rights reserved.